Apple FM – Taunton’s newest community radio station, broadcasting on 97.3FM for the caring community of Taunton, truly had a winning launch today. 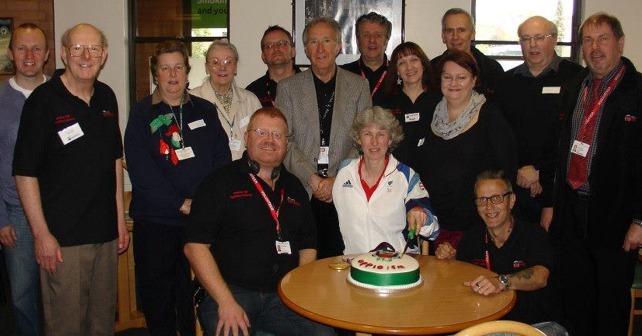 The station which, broadcasts from Musgrove Park Hospital were delighted to be joined by a special guest Taunton’s very own Equestrian Paralympic Champion Deb Criddle MBE. The Paralympic star who won Team Gold and two individual silver medals last summer pressed the launch button which galloped Apple FM off in style. Apple FM Chairman, Jason Freeman said: “ This is great news for the community of Taunton, who will be able to hear our diverse range of programming for the first time. “We have a team of over 30 volunteer presenters, who put together 113 hours of Taunton based broadcasting each week. This is something even a commercial radio station would be proud of. Apple FM broadcasts on 97.3FM in and around the Taunton Deane area.